Disclosure: This post is sponsored by Quill.com. Too many times, the workplace is fraught with misunderstandings and other frustrating communication challenges, which can lead to unnecessary politics, drama (what I call “nonsense”) but perhaps more importantly, a shifting of responsibilities, and a lack of efficiency and productivity. So what can you do to minimize the various kinds of miscommunication in the workplace? One of the miscommunications that just might be the easiest to clear up is miscommunications about supply orders. Here’s how this typically plays out: your office manager sends out a global email, asking folks to let him/her know what they need, supply-wise, and providing a date by which they need all orders to come in. Your team members set the email aside to follow up on later, and then forget, then they email after the deadline. Or worse, they stop by your office manager’s desk and leave a sticky note which may or may not be seen by the manager, and may have hard-to-translate handwriting. Finally, asking team members to write down or email their item numbers to a manager can mean transposed item numbers and missing information. The lack of a cohesive strategy means orders will be missed, there’ll be a lot of back and forth communication to ensure the right items are ordered and to try and get workers to meet the ordering deadline….all of this is a lot of time and energy for your office manager to expend, plus it holds the potential for a lot of misunderstandings to happen. One way to resolve this challenge is Quill.com and their Shared Cart tool. Using Quill’s Shared Cart tool, your team can add office supplies to a single cart. Your office admin reviews their requests, modifies as needed, and places the order. Or, s/he can set up multiple Shared Carts for different departments or locations. Only the people your admin invites can add items to the cart. Best of all, your office manager can set a due date and Shared Cart will send out the reminders, so it’s super efficient. Since everyone is adding their own items to the cart, this system is far more accurate and efficient than those old sticky notes, random stop-bys, and multiple email exchanges. No bad handwriting to translate, no trying to figure out which item a coworker wanted when they sent the wrong item number. Learn more about Quill’s Shared Cart here. Rumors, gossip, and drama (otherwise known in my vernacular as, “nonsense”) are common in office settings. This kind of nonsense leads to nothing good – hurt feelings, damaged reputations, and when the rumors and gossip are specifically about the company and its leadership, they can lead to an unsettled, insecure team, which translates into lowered productivity, retention, and overall job satisfaction. One way you dispel rumors about the company is by being transparent. If leadership is transparent about the company vision and mission, and communicates openly with the team about changes, decisions, and even challenges, then employees will have less to wonder about, create theories about, and vent about. Plus, they’ll feel more engaged by knowing what’s going on, so they’ll be more likely to participate in the solutions. As for the more personal type of drama, one of the best ways to address this is through your organizational culture. If your culture is set up to allow for bullying and gossip mongering, then your team will engage in that behavior. If, however, your culture is such that you’re above all of that petty nonsense and nobody has time for it, then employees who want to gossip will either stop or they’ll leave. Procrastination, leading to missed deadlines and due dates, can be a sign of a lack of accountability, which can happen when team members aren’t fully aware of their role in the organization and how important they are to the overall success of the company. As a result, nobody feels particularly engaged or excited about the work, and it gets done late and poorly, if at all. Going back to transparency, making sure that you’re communicating about the overall vision of the company and how each team is integral in that vision can help, but you’ll also want to make sure that managers convey this information and reinforce it over time. Another reason that deadlines get missed is because they’re not communicated well. Most of the time we think of communication as something we do one-way, and if we say something and word it well enough, then we’ve “communicated well.” However, communication is a two-way street, and you also need to think about how your communication is received. To that end, shared timeline tools and calendars, plus systems for managing deadlines can be very helpful in improving communication. 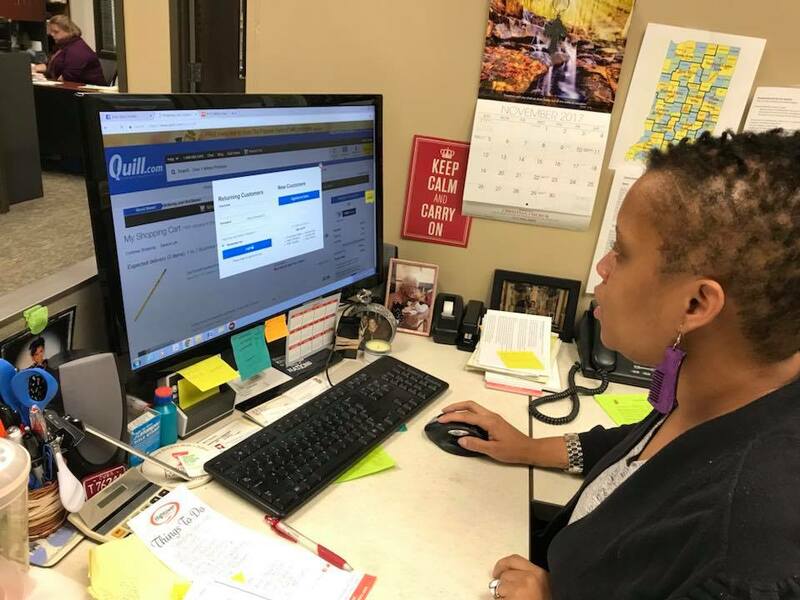 The Quill Shared Cart is an example of a great system that can cut down on missed deadlines specific to office supply orders by sending automated reminders. There are many ways that teams can be inefficient and unproductive, so much so that this topic warrants multiple articles of its own. Often, employees get bogged down in emails and other administrative tasks, leading to inefficiency and lowered productivity. One way this happens is when email systems show notifications every time an email comes in. When this happens, team members are much more likely to feel compelled to abandon whatever tasks they’re working on to check their email, which leads to disrupted productivity. Sometimes teams can work at cross-purposes, ultimately leading to friction and frustration. And when teams aren’t working together, are too siloed, and one team has little to no idea what the other team is doing, work gets done and undone, which is incredibly inefficient. For specific challenges like emails, use strategies like turning off distracting email notifications. Implement systems for emails, training team members to quickly sift through emails for emergencies that need to be responded to immediately, then setting aside a specific time to respond to other emails as needed. 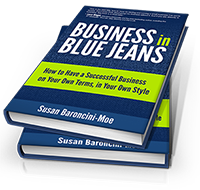 Build this system into your organizational culture, and as employees settle into the new system, they won’t get bogged down and overwhelmed nearly as easily. When it comes to teams working at cross-purposes and siloing, one of the most effective ways to minimize this challenge is by improving communication among departments. As departments begin to see how each group fits into the bigger picture, they’ll begin to get more engaged in the overall mission, and want to work together more effectively. Additionally, you’ll want to improve top-down communication. Leaders need to know why those teams are working on opposing goals so they can work with teams to help them coordinate efforts toward a shared vision. By no means are these the only challenges in misunderstandings, but by implementing some of the recommended solutions, miscommunication should decrease, and employee engagement and enthusiasm should increase. Good luck! This is a sponsored conversation written by me on behalf of Quill.com. The opinions and text are all mine.